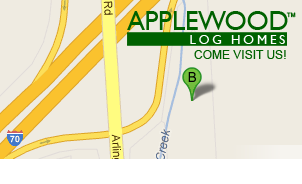 Applewood's models represent the finest custom design log home construction. 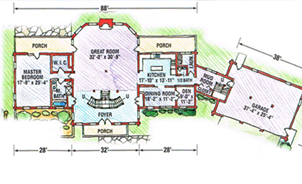 With over 70 floor plans to choose from, we're confident you will find the perfect home. 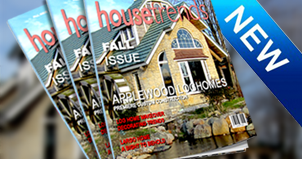 Applewood Log Homes have been featured in press material all over the nation, supporting our continued aim to provide the best in custom design log homes. Visit our photo gallery. Please contact us to schedule a walk-through. We are located off the Interstate 70 at Exit 21 in Brookville, Ohio. 4 exits West of 1-75, 21 miles east of Indiana/Ohio state line.